This week finds me working on my Happy Birthday Quilt. 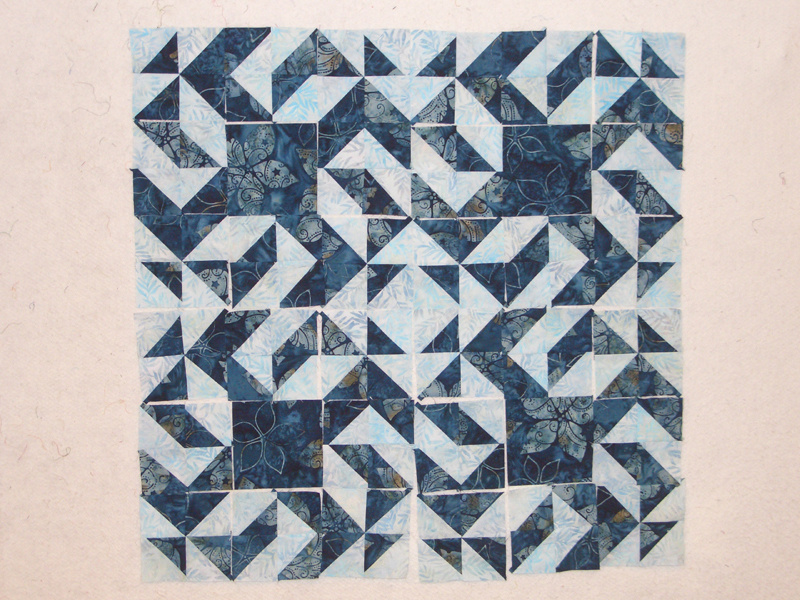 This quilt requires a whole bunch of half square triangles, that are then sewn into two different blocks based of your Birthday month and day. I will be making 80 of each. Then the blocks are arranged with a solid square in the middle. You keep turning the blocks a quarter of a turn, until you find the combination that you like, and then sew them all together. Here are a couple of ways that I arranged the blocks. Still a little busy, so I will keep turning. I am leaning towards the second one- but not completely sold yet. Will post the final later this week. 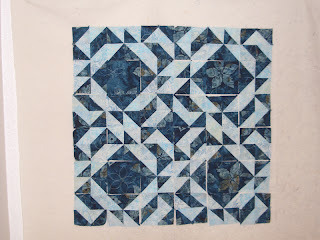 See what everyone else is working on and get some great ideas at Patchwork Times. 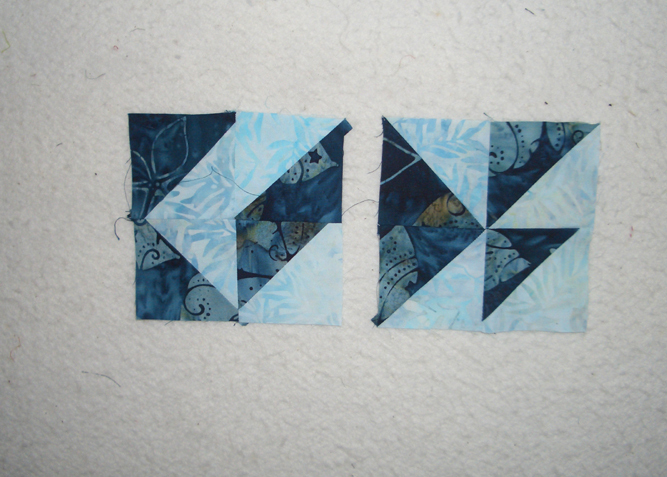 So far I think I prefer the second block layout. 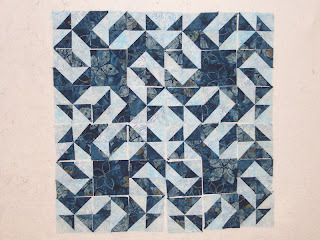 Everywhere I look these days quilters are doing creative stuff with HSTs. 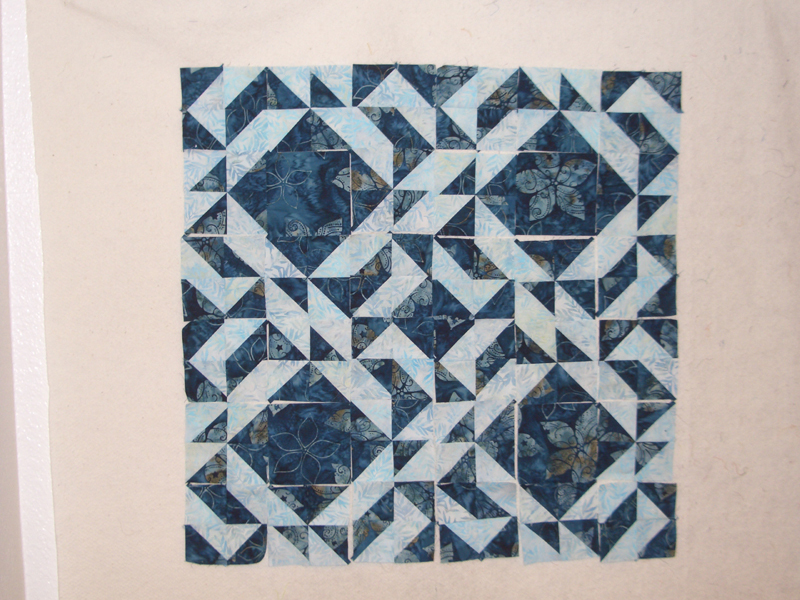 I'm working with some scrappy HSTs of my own - 1,080 of them - just two seams left per block. Oh fun that is. I don't think I'd be able to stop turning them!! Can't wait to see what you finally come up with. This looks fun. I love turning blocks and catching different designs. It's like a kaleidoscopic. The second one gets my vote!